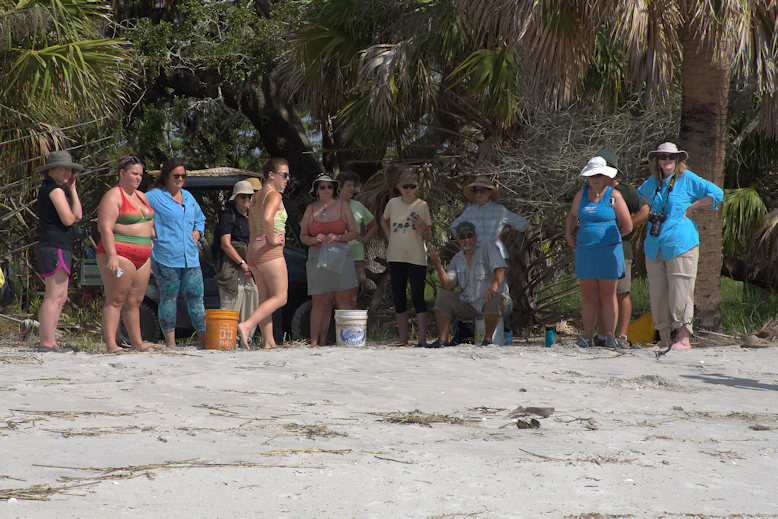 Since travel here is strictly limited to ecotourism, educational programs, and controlled hunts, and often sold out months in advance, I feel fortunate to have participated in one of the Ossabaw Island Foundation‘s Sea Turtle Walks last weekend. 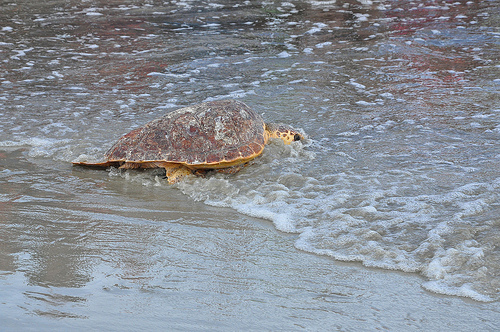 Besides having access to the architectural landmarks of the North End and seeing the unmatched natural beauty of the island, the trip affords one the opportunity to observe sea turtle research being done here. 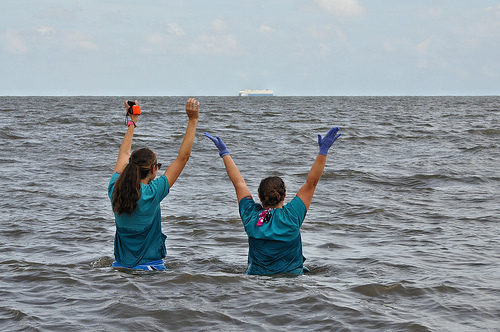 Though we didn’t see an active nest, we were able to observe methods used by interns to determine environmental factors affecting species survival. 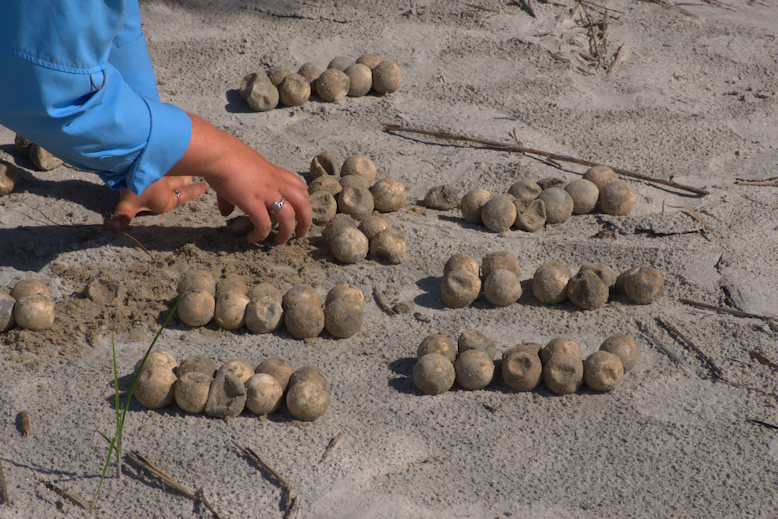 The eggs pictured above were all spoiled. 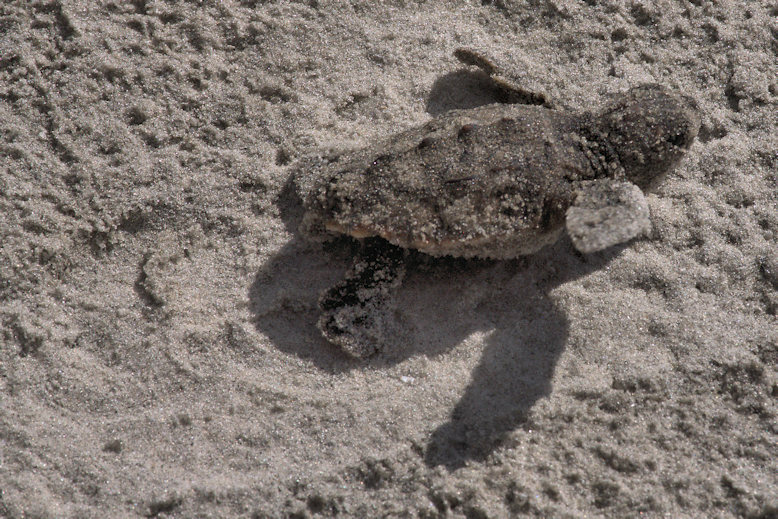 We were able to watch a rescued hatchling Kemp’s Ridley (Lepidochelys kempii) on its return to the sea. 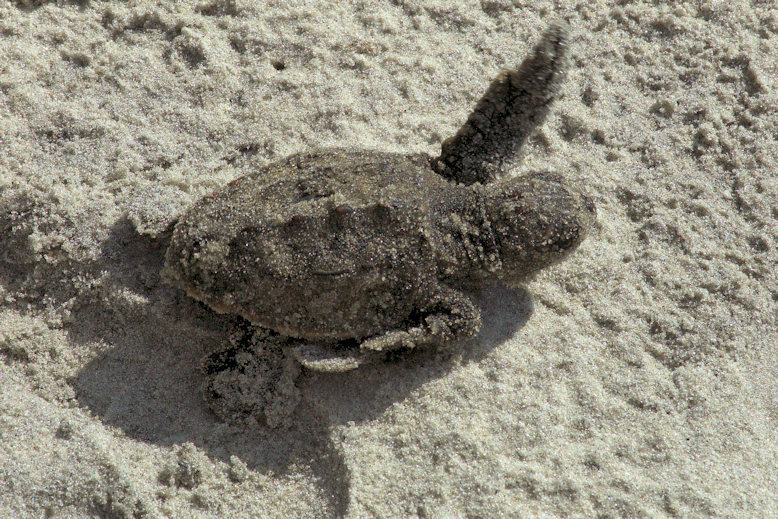 Even though this species nests more frequently than other sea turtles, it’s the most critically endangered in the world. 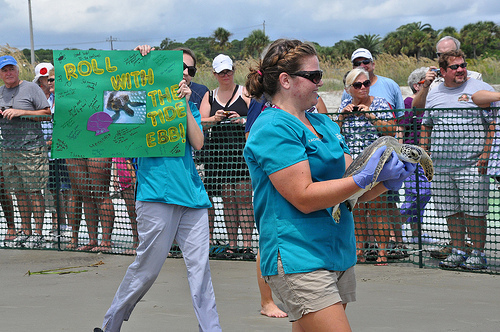 I was lucky enough to be on Jekyll Island this weekend for the release of two rehabilitated “patients” by the great folks at the Georgia Sea Turtle Center. 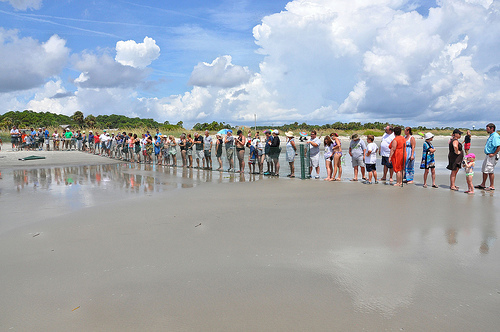 A large crowd was on hand to witness this special event. 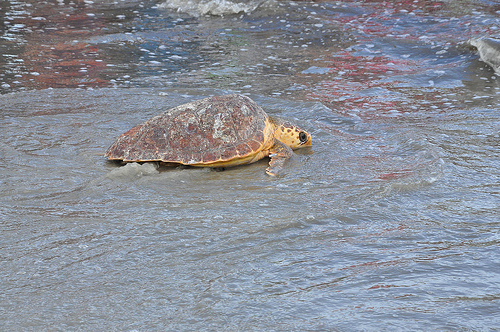 The first of the two releases was an immature Green Sea Turtle (Chelonia mydas) named Ebb. 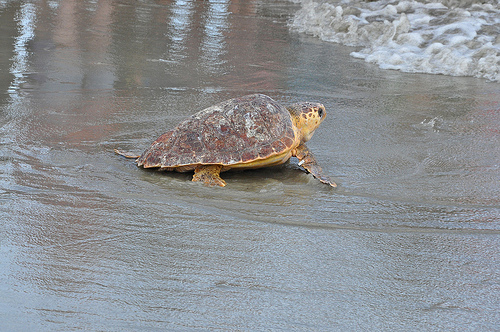 Ebb was found in a tidal pool on Jekyll Island on 7 July 2013 and was a bit anemic. 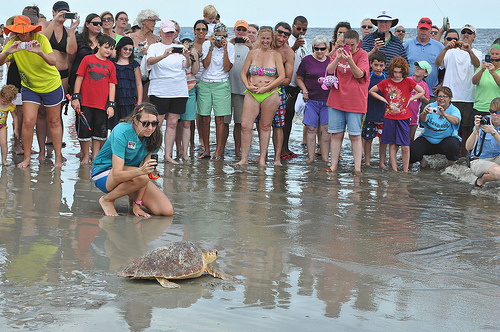 The second patient to be returned to the Atlantic Ocean was Cinnamon, a Loggerhead Sea Turtle (Caretta caretta). 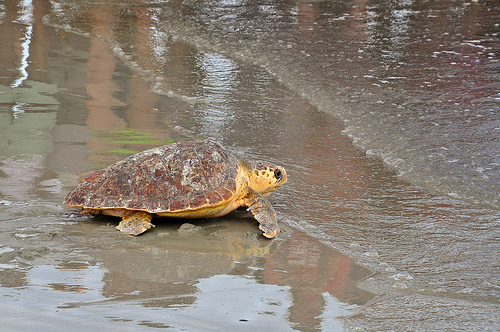 The sub-adult turtle, approximately 15 years old, was found stranded on Blackbeard Island on 29 June 2013 and was rehabilitated at the Georgia Sea Turtle Center’s Turtle Hospital. 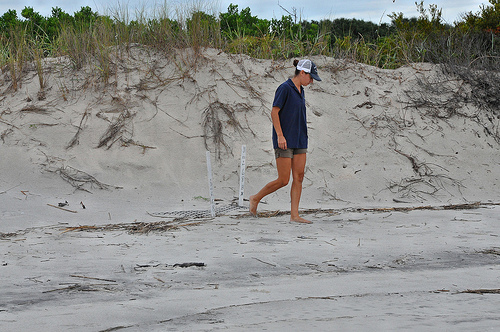 The work of the center is ongoing, including perhaps the most important work of all, the monitoring of sea turtle nests around the island and on other barrier islands. 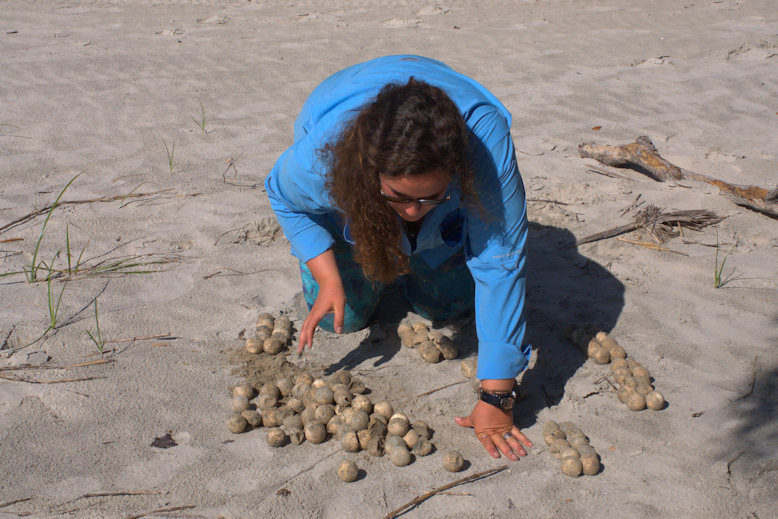 Nesting appears to have steadily increased since the work was initiated, and for the fourth consecutive year a record number have been recorded. 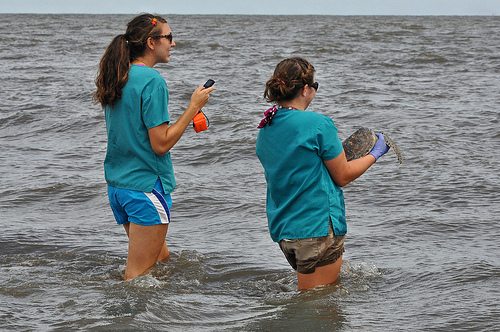 2,241 have been monitored this year! 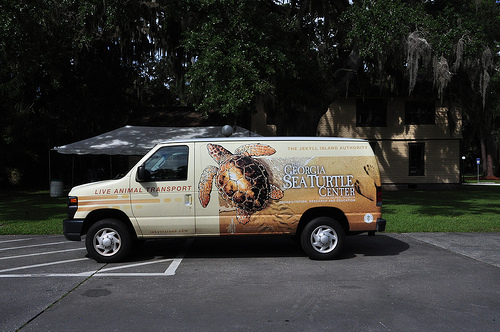 Please visit the Georgia Sea Turtle Center when you find yourself on Jekyll Island. 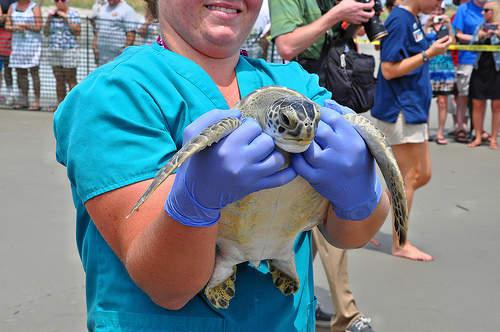 It’s some of the best work the state of Georgia does and though admission to the hospital is a bit expensive, all the monies are used exclusively for the educational and rehabilitative mission of the center. 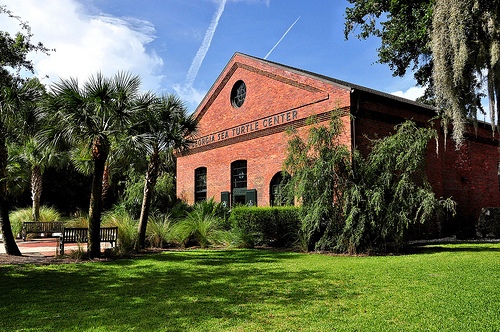 They’re located at the old Jekyll Island Power Plant (1903), which is listed on the National Register of Historic Places.